Oyster Bay is located in Nassau County. Oyster Bay Hamlet is located in the Town of Oyster Bay. 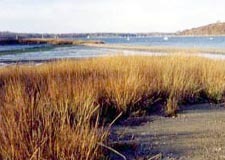 The Town of Oyster Bay stretches from the Atlantic Ocean on its southern border to the Long Island Sound on the North Shore and consists of many communities. Collectively, these communities boast pristine beaches, beautiful waterfronts, picturesque parks, nature preserves, wildlife sanctuaries, historic sites, fine shopping, and more. The Town of Oyster Bay boasts one of the most revered suburban environments in the country. The Town's suburban communities are famous for manicured lawns and quaint shopping areas as well as sprawling malls and diverse terrain, evident as one travels from the level south shore to the hilly north shore. Exceptional Town government has resulted in some of the finest municipal services found anywhere. From outstanding recreational facilities and environmental preservation efforts, to programs tailored specifically for children, senior citizens and the handicapped, progressive Town government has contributed greatly to the superior quality of life we enjoy, cherish and jealously guard.